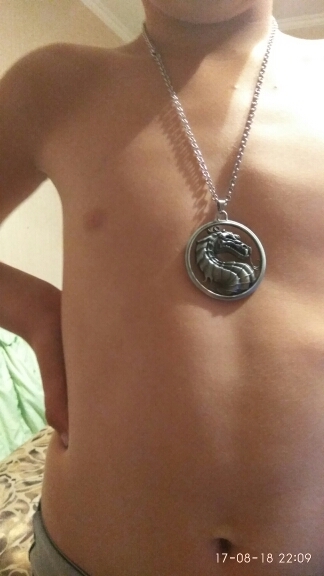 From RONGJI JEWELRY comes these fashionable, dragon motif, Mortal Kombat themed pendant / necklace. Perfect for casual occasions such as Cosplay, general use, etc. Made from zinc alloy and attached to either a 50cm chain. Available in two different colours to suit personal preference. The perfect gift for fans of the Mortal Kombat film series or dragons in general. Ребёнок захотел этот медальон, пришлось заказать. Продавец быстро отправил, и на удивление быстро пришло. Вещица довольно увесистая, но таскает и радуется.